Last year, Shonda Rhimes signed a roughly $100 million, 4-year deal with Netflix. She had already been dominating network television for about a decade and a half. Her Netflix deal made history. She was one of the first showrunners to sign an exclusive deal with the streaming service. Oh, and by the way, she also took home an eight-figure check, on the spot. The Netflix deal is the latest feather in the cap of one of the most successful, creative, and wealthiest women in TV. With a net worth of $140 million, she is the richest female showrunner in the United States. After film school, Shonda found herself in a position many writers in Hollywood face. She was unemployed. She interned at Denzel Washington's production company for a while. She also worked at a variety of day jobs, including an office manager, and then as a counselor at a job center that taught mentally ill and homeless people job skills. All along she continued to write and eventually a script she wrote was bought by New Line Cinema. From that, Shonda was hired to co-write the acclaimed 1999 HBO movie Introducing Dorothy Dandridge. 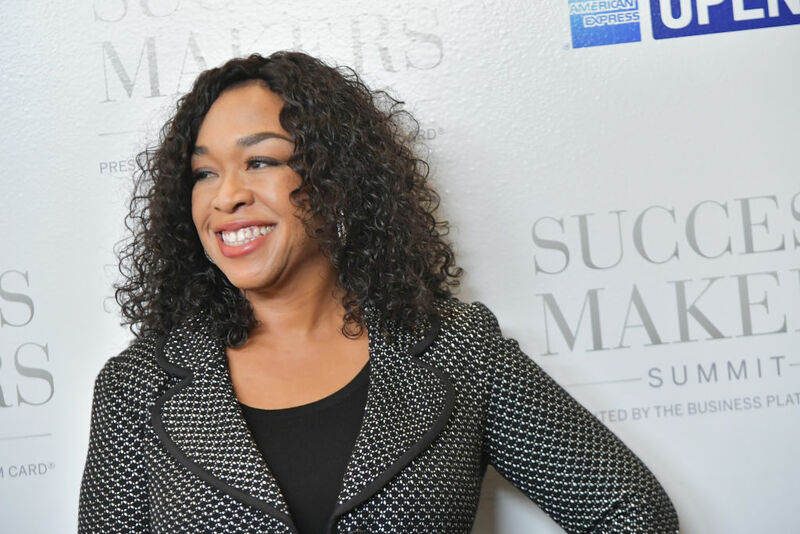 That put Shonda on the map and she was hired to write a number of scripts, including the 2002 Britney Spears movie Crossroads, which, while critically panned, still made more than $60 million at the box office. In 2003, Rhimes drew on her high school days as a hospital volunteer to work on a new project. That project was Grey's Anatomy. ABC bought it on a pitch and scheduled it as a midseason replacement in 2005. By the end of the first season, Grey's Anatomy had 20 million viewers each week. In 2007, Rhimes created and produced the Grey's Anatomy spin-off series Private Practice, which ran for six seasons. In 2012, Scandal premiered and is the first show created by an African American woman with an African American woman as the lead character. In 2014, How To Get Away With Murder premiered. In 2015, The Catch premiered. In 2018, Station 19 and For the People premiered. Shonda Rhimes and her Shondaland production company absolutely rule, not just ABC, but the primetime network landscape. Scandal and Grey's Anatomy, have consistently been two of the most valuable properties on TV and account for about 5% of ABC's total ad revenue – a bit more than $300 million a season – and that doesn't include the tens of millions more in licensing for Grey's Anatomy in syndication or in foreign countries. Even more impressive, in an age of declining viewership for traditional network television, more than 90% of the audience for Grey's Anatomy stayed tuned for Scandal. Shonda Rhimes absolutely dominates the critical 18-to-49 year old female demographic making her a very valuable asset to ABC. Shonda's fortune has been made nearly completely from her years at ABC with the long running shows she has created. She not just gets a fee for each episode she produced of each of her shows—and that's more than 317 for Grey's Anatomy alone – she also made and additional $10 million a year over the last three years from ABC and at least 10% of the profit when her shows were syndicated or sold to streaming services. That amounts to about $1 million an episode for Rhimes. Shonda Rhimes' series have generated at least $2 billion in revenue for ABC through advertising, syndication, and international licensing. Fans of Rhimes are eager to see what she will create next. We won't have to wait long, her first project is based on the true story of Anna Delvey, a female con artist in New York City's high society.